Thamsanqa (Thami) Manzi is a successful entrepreneur who knows about giving back, and whose thriving businesses are creating job opportunities for people in his community. 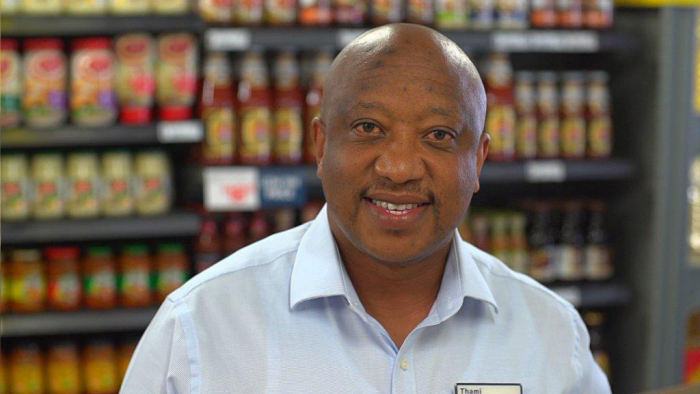 His hard work and perseverance have seen his retail business, Ola Superstores, expanding to three outlets with an annual turnover of more than R10 million and 26 permanent employees. Before starting out on his own, Thami was the executive manager responsible for enterprise development at the African Dream Trust and, by extension, the Mpumelelo Business Centre. He serves on the board of the Bophelong Tutorial Programme (BTP), a registered non-profit organisation that encourages quality education by serving as an intervention unit and support structure for schools in the Bophelong community. Thami won the Global Business Roundtable’s Global Chairperson of the Year Award in 2013 for leadership excellence. He has received numerous other awards, including the Township Entrepreneur Award from the Gauteng Department of Labour and Khanyisa awards for service excellence from the Gauteng Department of Health and Social Development. He obtained a BCom degree in Business Management from the NWU’s campus in Vanderbijlpark in 1999 and is currently enrolled at the Gordon Institute of Business Science. Thami’s passion for making a difference in communities has inspired him to assist more than 50 local businesses and many more school children and job seekers.